You are currently browsing the category archive for the ‘Travels’ category. 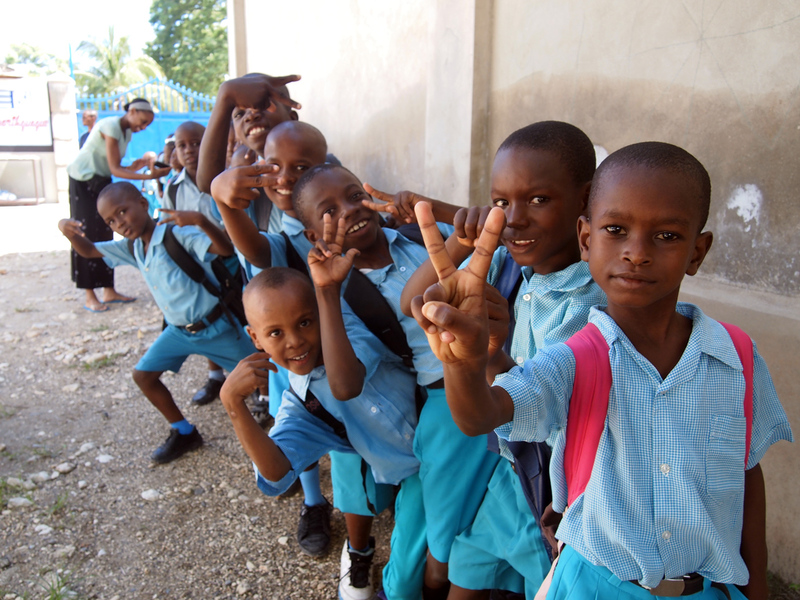 Haiti V: T-Minus 1 Day! 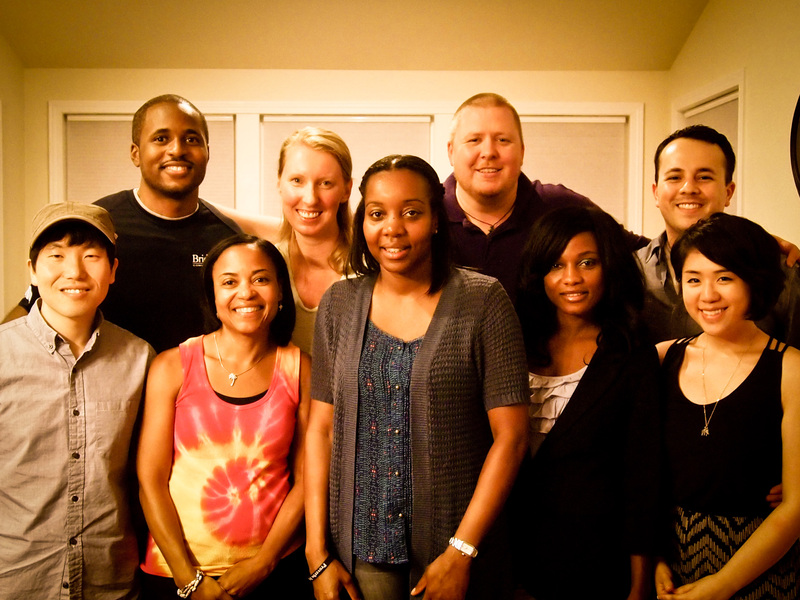 In 8 hours, this year’s Haiti Team will be heading off to serve Grace International in Port-Au-Prince! Stay tuned for our daily updates! Thank you for your prayers and support, and we look forward to sharing our journey with you all back at home! 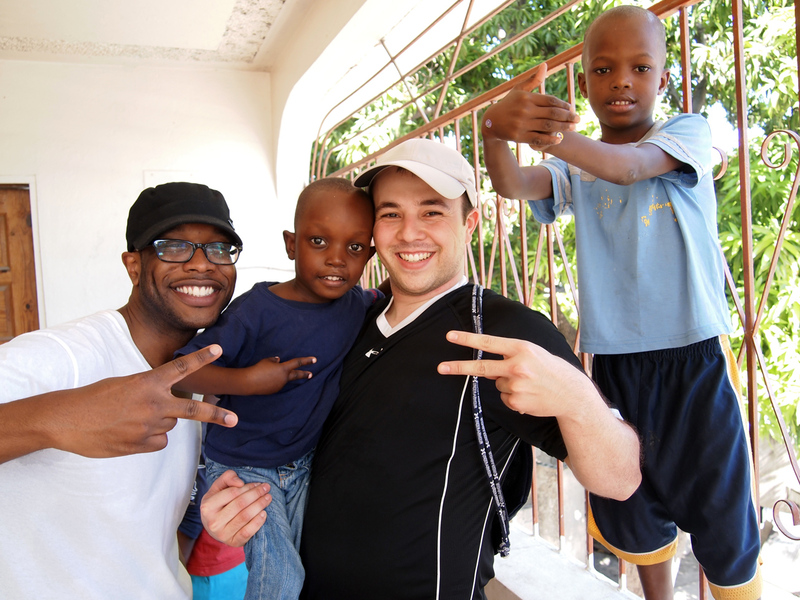 It’s been a week since our last Haiti trip, and the team’s hearts are still left in Carrafour with Grace International. For a complete gallery to our photos, click on the photo below! The trip was a huge success, and many lives in Haiti were blessed by the people in the States who donated both items and funds generously! See the video below to see exactly how your donations made a difference in their lives. 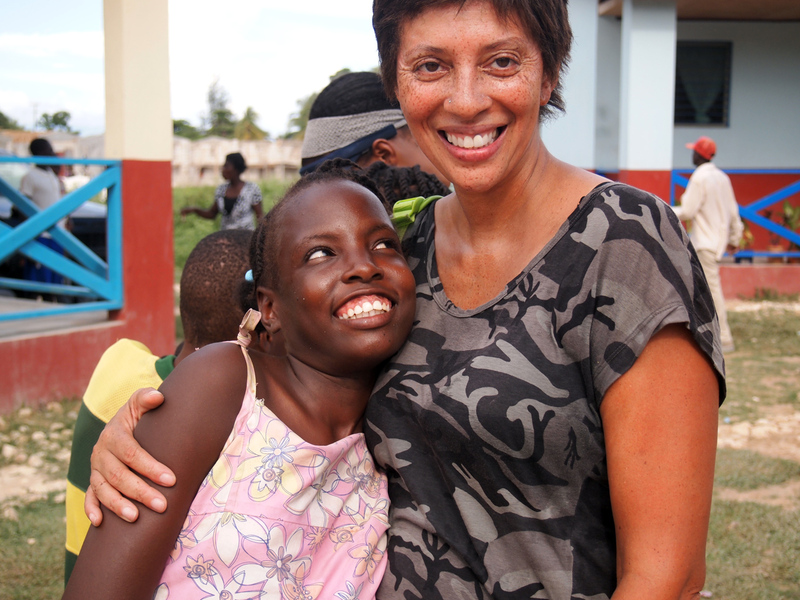 Thank you again for all who supported our team and the children in Haiti! NOTE: We lost Internet access the other night and weren’t able to update the blog until we got on the plane ride home. We are all fine, tired, but incredibly blessed by the trip we were fortunate enough to experience. Here’s what happened yesterday and today! 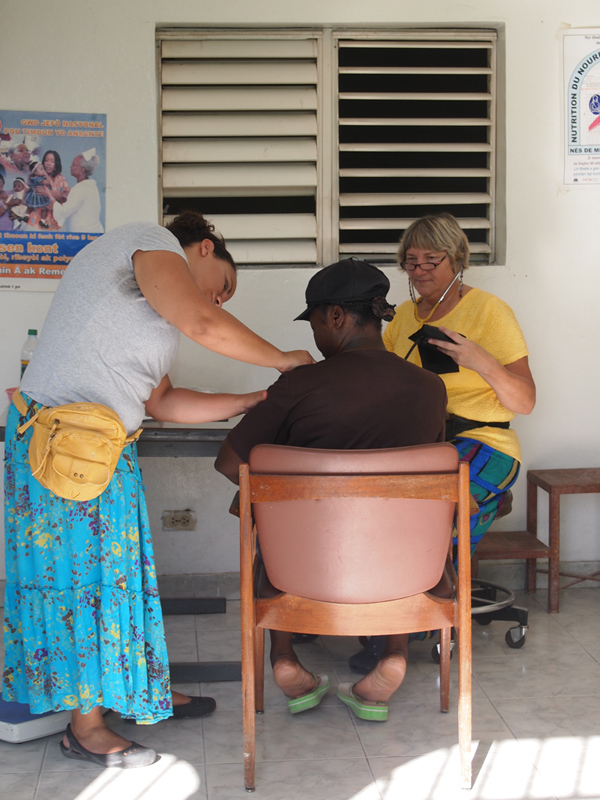 And the third (Corinne and Sandy) went to serve at the medical clinic. 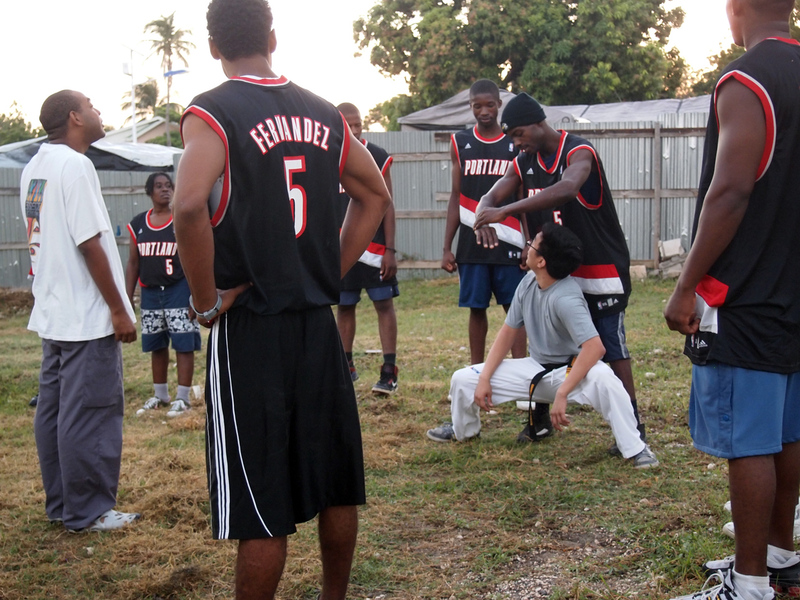 Everyone had a blast serving: it was hard but rewarding work. The Lord’s Kitchen crew started by cleaning every pot, pan, and utensil in the kitchen. 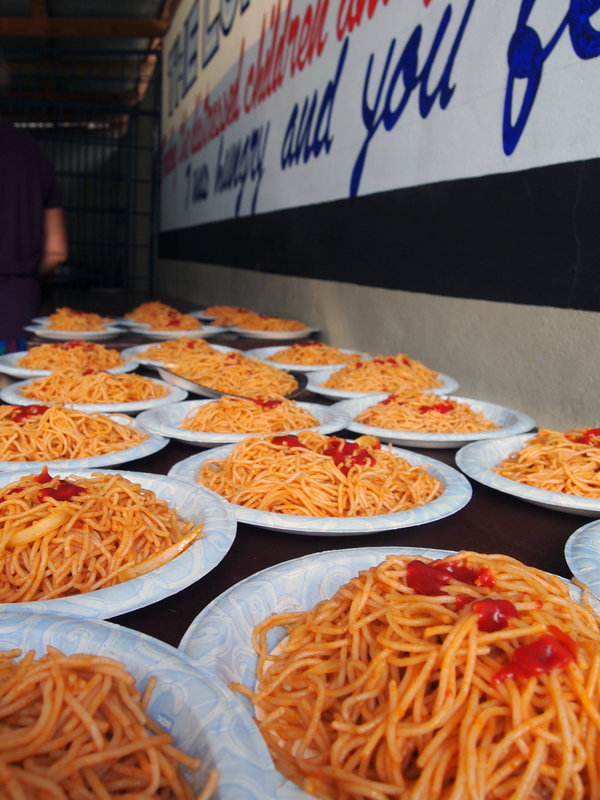 After everything was prepared, we peeled, chopped, and prepared vegetables and got ready to serve heaping servings of homemade spaghetti. The kitchen “mothers” prayed over the meals they made, made us laugh and were nothing short of fantastic. Today, the Kitchen was geared to feed the sponsored children of Grace International (and the rest of the week was paid for and dedicated to feed the rest of the children in the neighboring villages). Meanwhile, in the Clinic, Sandy and Corinne performed routine check-ups on local families, and helped children battling fevers and sicknesses. After the line of people from the Clinic were all served, they moved on to organize, update, and restock the Pharmacy with all of the donated medical supplies that were sent with our team. And finally, the men were sent to perform some hard labor out in the field. 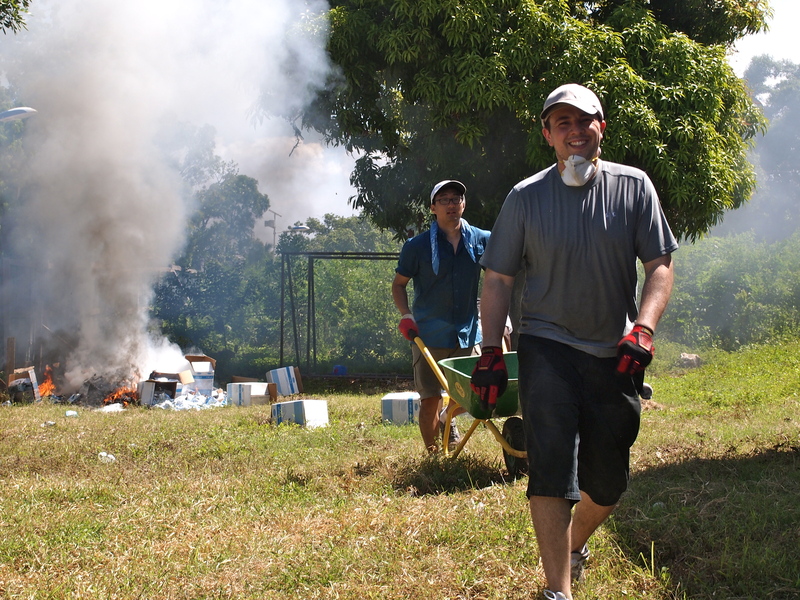 They wheel-barrowed boxes of supplies in the sweltering heat, to safely dispose of potentially hazardous materials. By the end of the session, they had soaked through their clothes with sweat and dust, but they finished what they started and did amazing work. After lunch, it was time for the Lord’s Kitchen. Some of us focused on giving away the rest of the donated Crocs to the students and the staff’s children while others entertained and got to know the children that came through the gates. We began to run low on food as the last 50 children arrived, and the women who work the Kitchen put in their own food (which they were saving for their children/families) to make sure that everyone got fed. When we saw their sacrifice, the team pooled together funds and gifted what we had in our pockets for each of the 5 mothers, in thanks for what they did. 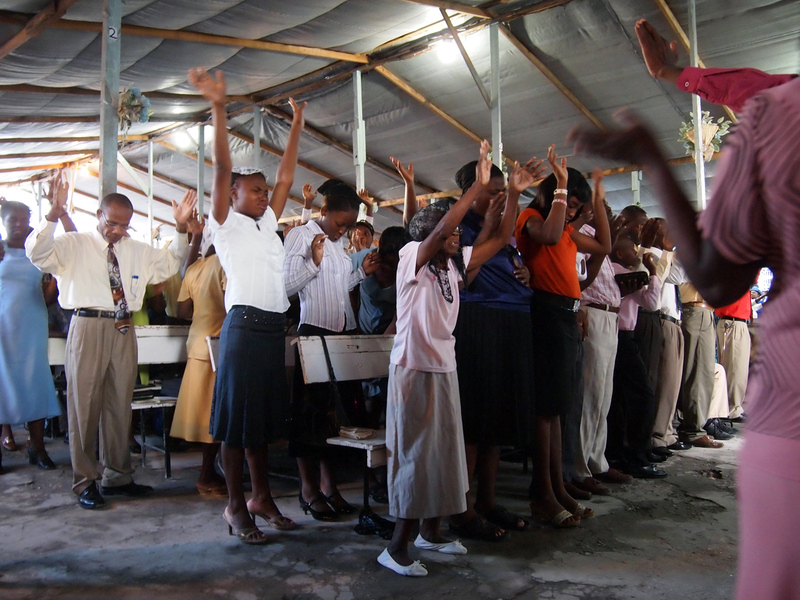 The children were bright, grateful, and full of potential and it was a blessing to serve them. 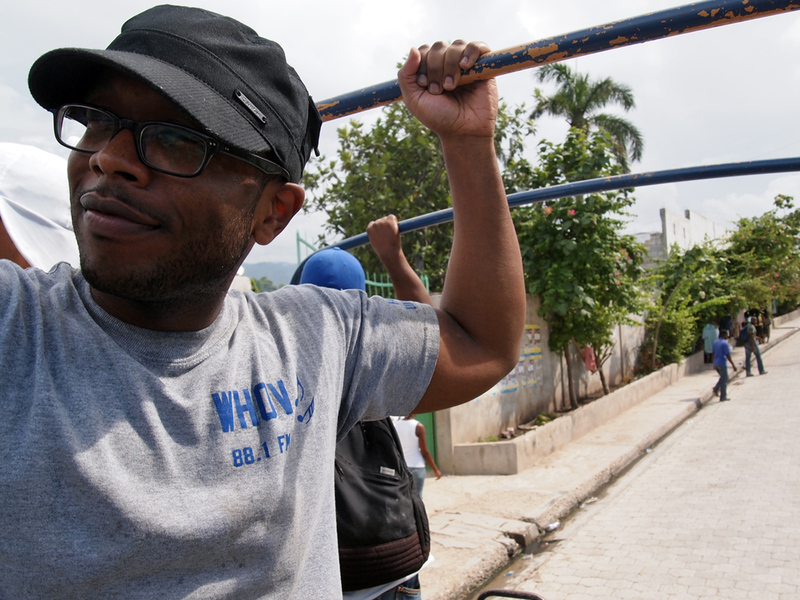 After we washed up, we jumped onto an open truck and held on for dear life as we whizzed through the streets of Haiti to visit Grace International’s new Grace Village. 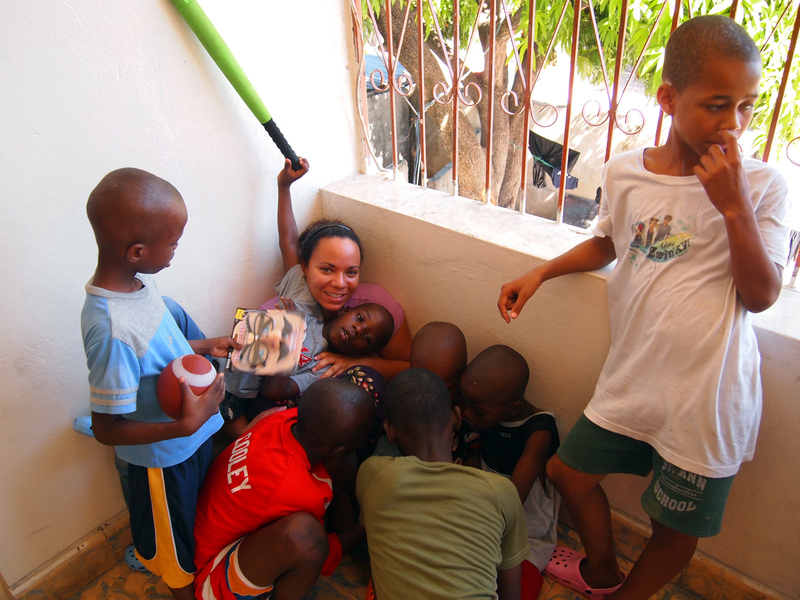 When we arrived, we were greeted by a swarm of children, who grabbed our hands, climbed onto our backs, and proudly escorted us through their neighborhood. Grace Village is a rural campus that Bishop Jeune purchased in an effort to relocate and better families that used to live in the tent communities at Grace International’s medical campus. These 70+ families are hand picked to live there. They have jobs, families, and are taught how to build the houses they live in. As we toured the campus, residents proudly showed off the humble homes they lived in, and we were humbled by their hospitality and bright demeanors. At first glance, all we saw were tiny, over-heated homes, with very few belongings…but when we saw their joy at having their own place to call home, we felt at home as well. After the tour, we were given the opportunity to play with the children and hand out the hundreds of candies we brought with us. Children were overjoyed, but desperate to collect as many as possible, and many of the members were overwhelmed by the helplessness they felt at what they saw. 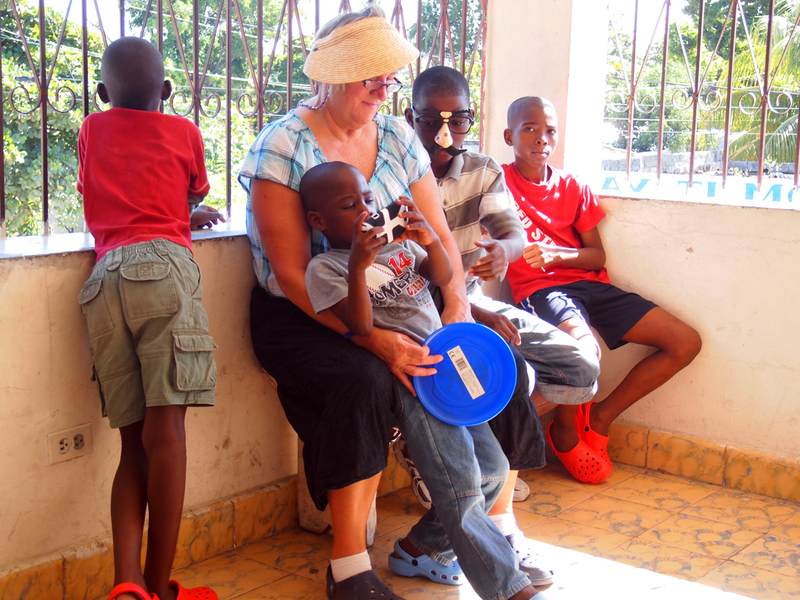 The children had tattered clothes, most were shoeless, but all were full of love and joy. It broke our hearts. As we boarded our truck to head on back, the children asked if we could take them with us…and that’s when several of our team members broke down. We quickly drove away, and the feelings that welled up in the hearts of the team burst. On our way home, tears were shed, people were heartbroken, and when we got back to the campus, we had a serious discussion on what we just saw. The sadness we felt was righteous sadness. The poverty that we saw broke our hearts because it broke God’s heart. The anger we felt was righteous anger because children SHOULD NOT STARVE. It was a painful but eye-opening experience for everybody, and we are all better for it. 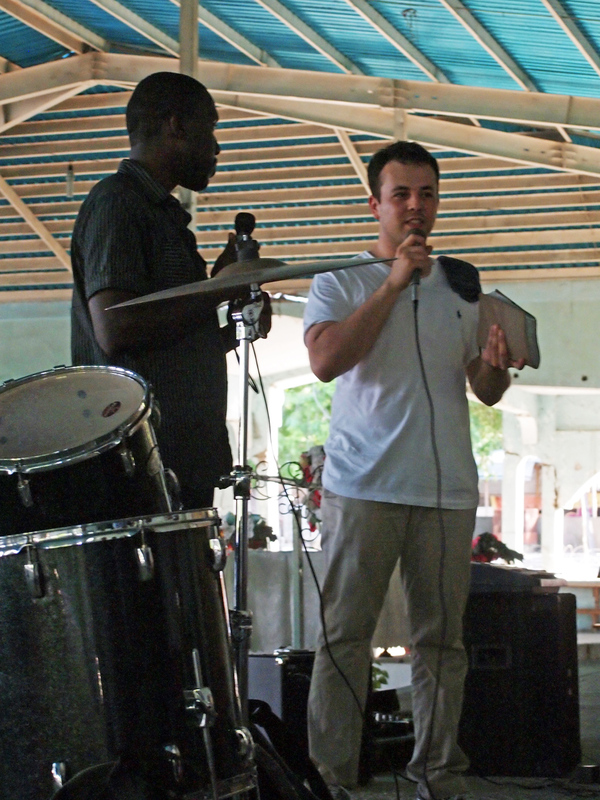 Before we left the campus, we had the opportunity to visit the schools at Grace International and give a little speech to the children. Bishop and Madame Jeune prayed over us and we were on the road home! The ride to the airport was certainly bittersweet. Everyone left with a child on their heart and a mission in their spirit. 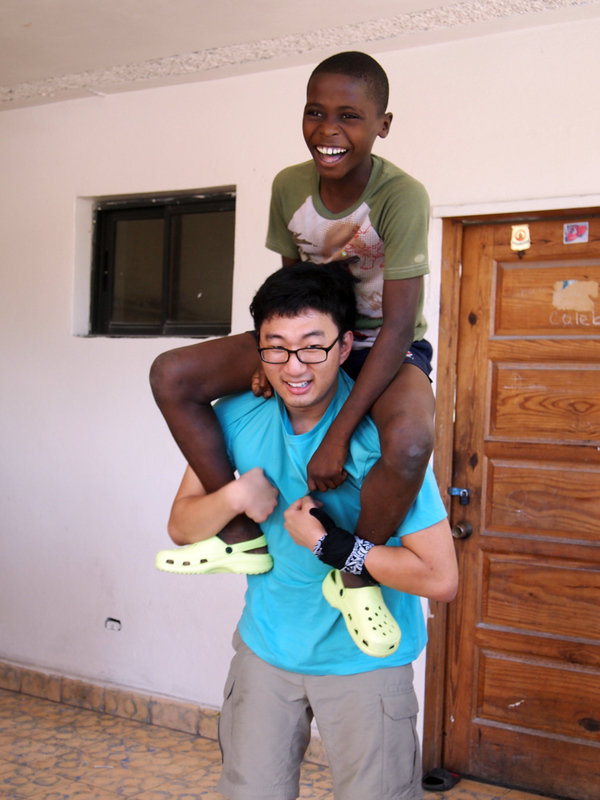 Several of our members were even able to sponsor a child that they met. 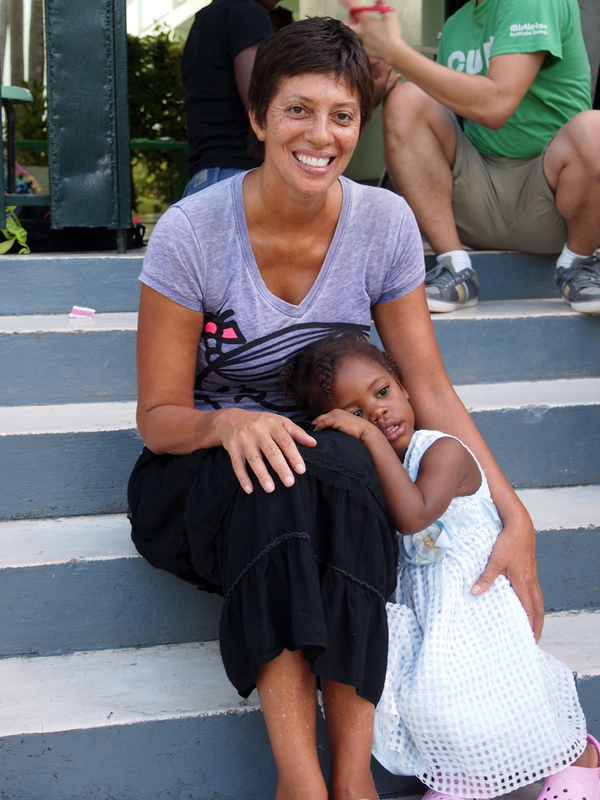 What a blessing it was to leave our hearts in Haiti! Love your faces. Bon nwit! Today was full of it~ And it was so good. I almost forgot to mention, but yesterday, at the crack of dawn (5 am), Peter held a seminar for the Grace International Security Personell. He gave them an hour long session where he taught Tae Kwon Do and self-defense techniques for hand-to-hand combat, and they had a great time learning. This morning, we got up around 5 am to the sound of roosters crowing. After a flashlight-illuminated breakfast, we hopped onto our bus and headed over to visit two churches with Grace International as Bishop Jeune’s guests. 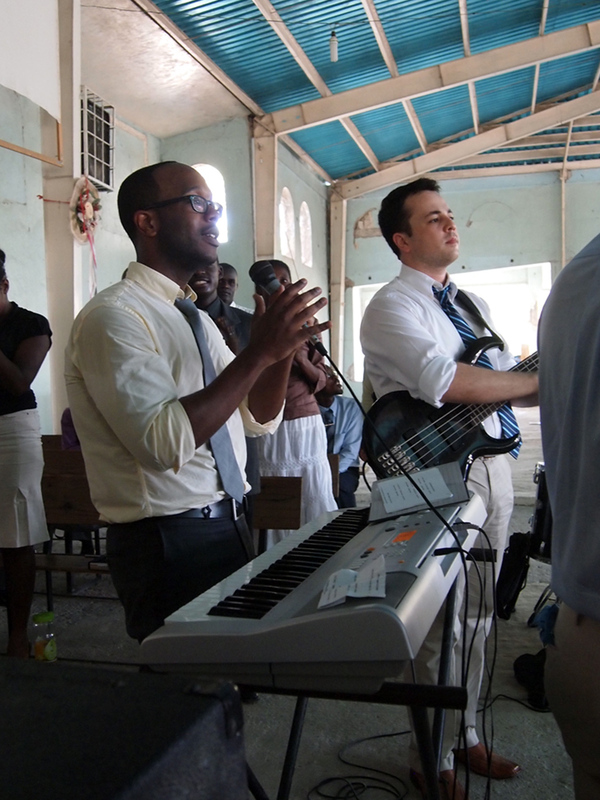 During both services, we were able to sing and lead worship in Creole (the congregation was very gracious in our butchered version of their language), and we had a great time hearing the testimonies of the church. One woman came up to the pulpit with her husband and shared her story. She was pregnant with her first child when she experience incredibly painful birth pangs. She was rushed to a nurse, but the doctor wasn’t anywhere to be found. After pushing for what seemed like a pain-filled eternity, she completely ran out of energy once she heard from the nurse that the child was dead in her womb. She cried out to Jesus for mercy and prayed that He could save her life, even if her child was already gone. And at that moment, she gained unexpected energy to push and the baby came out. To the nurses’ surprise the baby was alive! And the mother was fine as well. When the doctor finally arrived, he was speechless. When he assessed the situation, he let the woman know that the baby had been dead in her womb for two days, which sparked the birth pangs and prevented her from pushing. And she should have been dead. But God answered her cry for help and saved her and her child. We led worship at both churches, and left with hugs, smiles, and kisses from the elderly ladies and children of the congregation. It was a wonderful experience, and we were blessed to have been there. After church, we freshened up (the boys were drenched from having to wear long-sleeved button ups with ties) and then headed on over back to the church to hold a evening worship seminar. 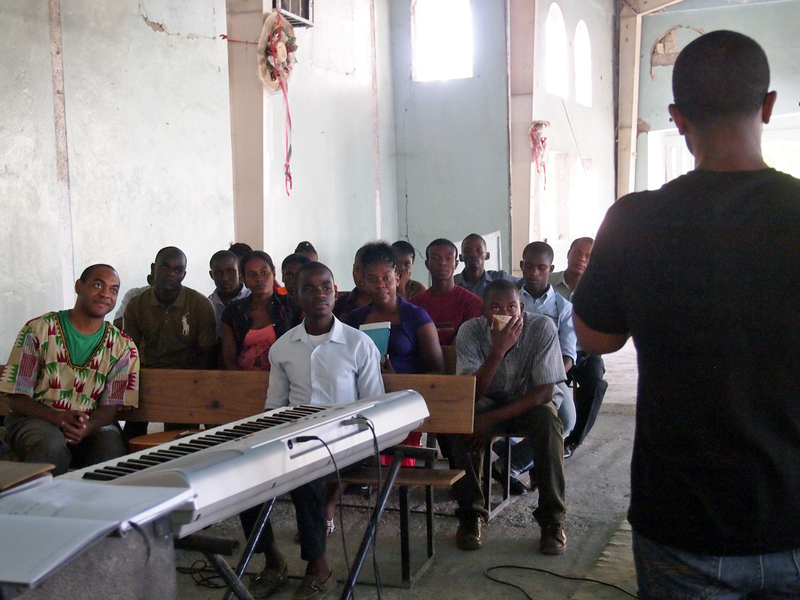 Ronald and Angel did a beautiful job sharing their knowledge and experience in worship ministry and also gave the bright young worship leaders/musicians practical application points to use in their own day-to-day ministries. At the end of the night, we met up with two other groups visiting Grace International (EMI – Engineering Ministries International) and Solid Rock’s Forward Edge and shared dinner and one last worship session before heading off to bed. Tomorrow’s a big day! 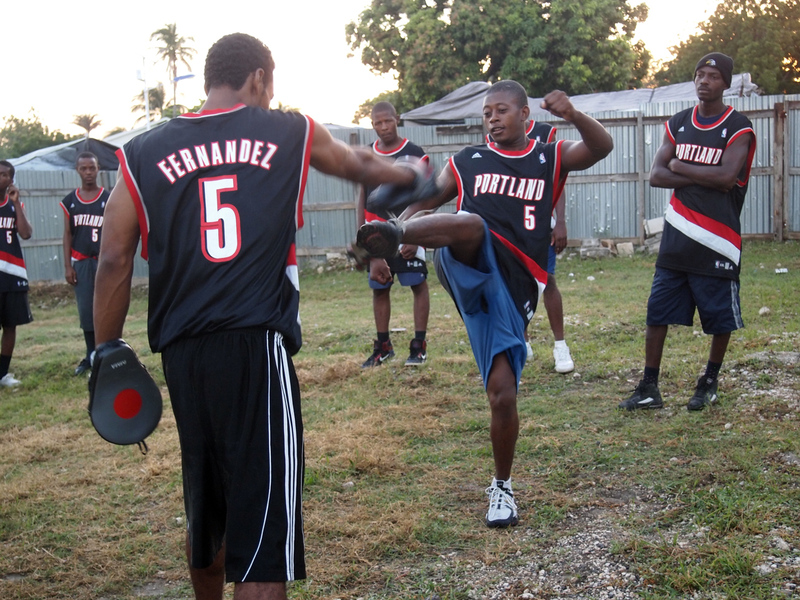 We’ll be working at the Medical Clinic, doing some good ol’ fashioned hard labor, and serving at the Lord’s Kitchen! We had the opportunity to visit the boys’ and girls’ home today and it was a wonderful experience. We were so blessed! The boys’ home was the first place we drove to, and they were so full of energy and love! We spent hours listening to them sing, watching them dance, and playing with them. The shoes that were donated were a huge blessing and almost every boy left with a new pair! What blessed us even more was seeing the wonderful character of these young boys: the older children, whose feet were too large for the donated shoes, were so kind and gracious. They didn’t even blink an eye at the fact that they couldn’t have their own pair, and instead made sure the little ones had theirs. I got to see Wilkens and Chris again, and it was a happy reunion! We bonded with several new boys, like Andres (the class clown and “big brother” of the group), met with the widows and toured the campus. We fell in love with the boys, and had a really really hard time leaving. And when the time came for us to go, every single team member left with a certain child on their heart to continue supporting and praying over. After a delicious lunch, we headed out to visit the girls’ home. The girls were much more demure, and the little ladies took their time choosing the color and right size shoe to leave with. They played with the donated jump ropes, stickers, markers and paper, and sang for us. They made us laugh, cry with joy, and the second goodbye was even harder than the first. We will continue to support these children, and ask that if you feel in your heart to support a very bright child with lots of potential, to go to Grace International’s Website and sponsor a child! Love your faces! Thank you for your support and prayers! 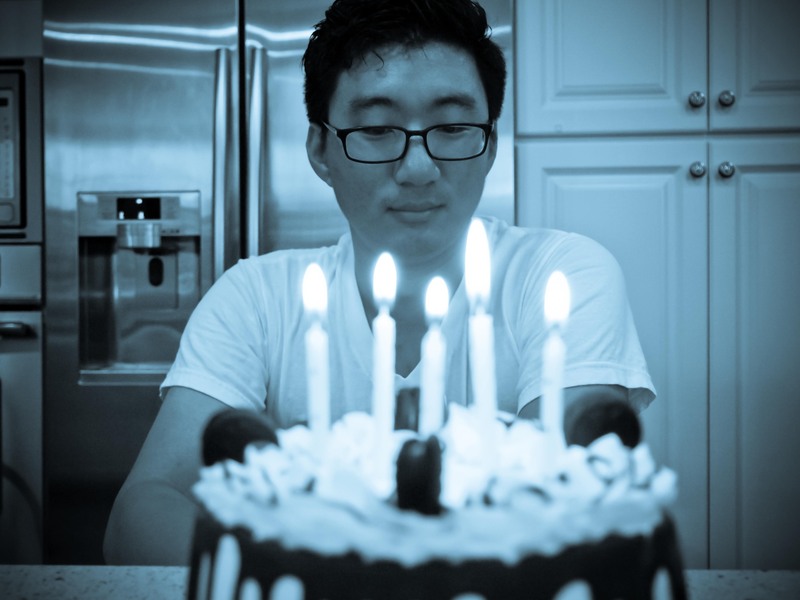 On Friday, we all celebrated my brother Peter’s 23rd Birthday! I’m very proud to have such a wonderful and mature younger brother. Happy birthday, Peesha! It was a beautiful day to take photos, and my lovely subject made my job very easy~. With my new camera (a pretty little Olympus E-PL2 Compact Camera) and the Adobe Lightroom program I got for Christmas, I plan on taking many more pictures! So happy! Tomorrow and Monday will be just as awesome, because I have the wonderful opportunity to hang out with a team of amazing people who are going to be traveling to Haiti with me to visit Grace International in October. And one of those people is my own brother! So proud, so excited! I can’t wait for him to see the things and meet the people that have changed my own life. I know this trip is going to be just as life-changing for him and the friends I’m taking. As you all know, for the past few years, I’ve been dedicating my time to promote a cause that’s near and dear to my heart. 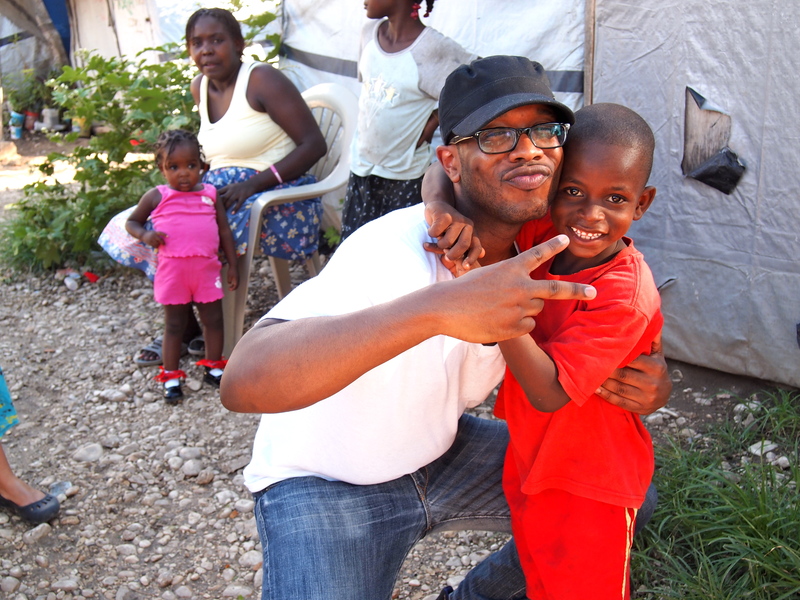 It has been just over 2 years and 7 months since the earthquake of 2010 ravaged Haiti and its capital, Port-Au-Prince. 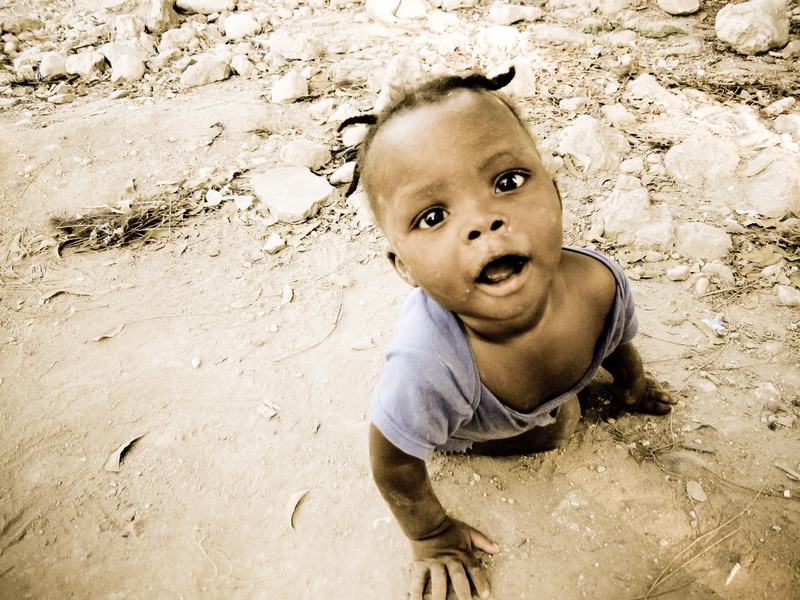 Although Haiti is nearing its 3 year mark of recovery, the aftershocks of the destruction proved to be long-term and devastating. 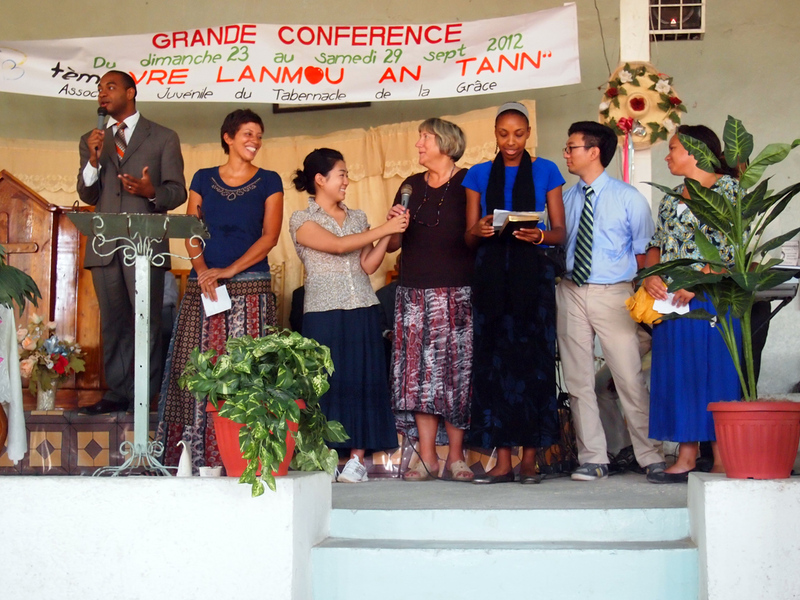 By the grace of God, non-profit organizations, such as Grace International in Port-Au-Prince, have been aiding the Haitian community by overseeing and managing 270 churches, 65 schools, 3 orphanages, medical clinics, hospitals and elderly widow care for over 30 years. The Lord’s Kitchen, Grace International’s children feeding program, has also aided in saving the lives of the children living on Grace International’s campus and in surrounding neighborhoods. 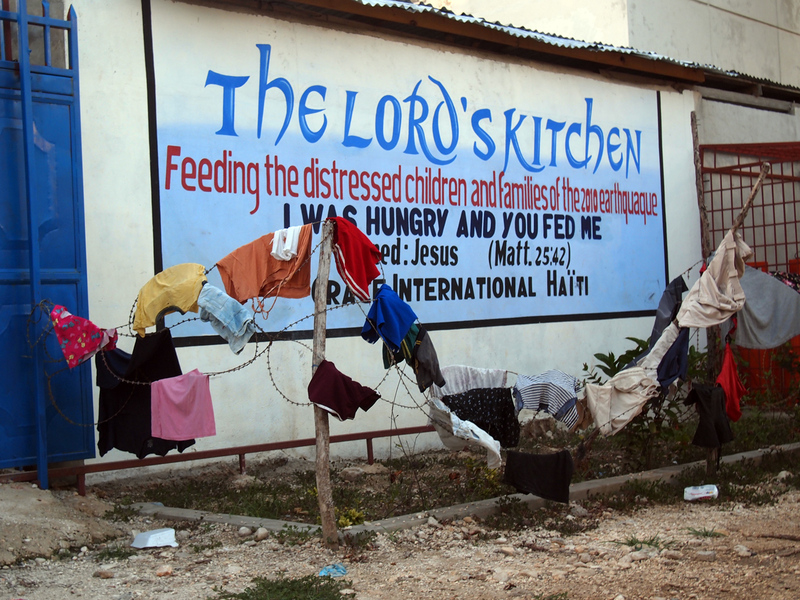 Unfortunately, as time has gone by, the Lord’s Kitchen has struggled to accumulate the funding necessary to keep the program running, while their medical ministries have expressed a need for support and expertise. 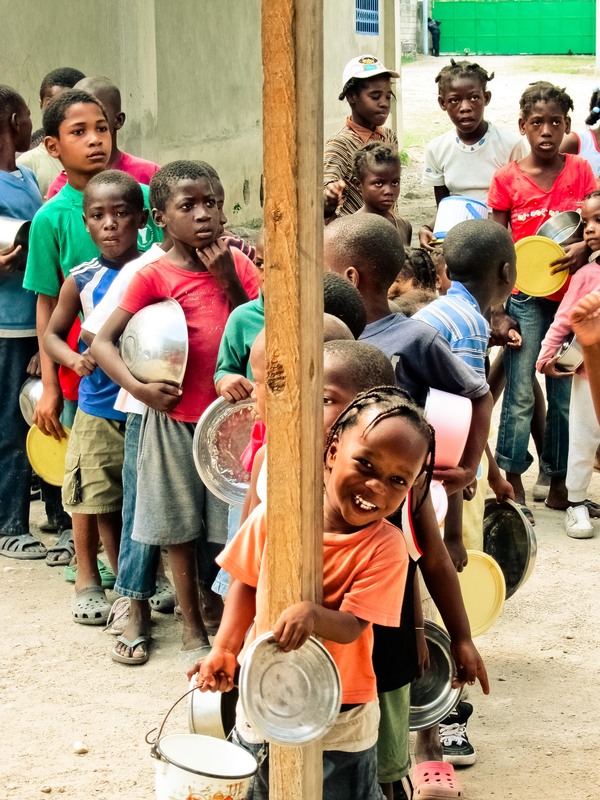 In response to these specific needs, myself and a carefully hand-selected group of 7 leaders from Bridgeway Community Church will be traveling to Haiti between October 12th-16th to aid and partner with Grace International and serve the Lord’s Kitchen and their medical ministries. 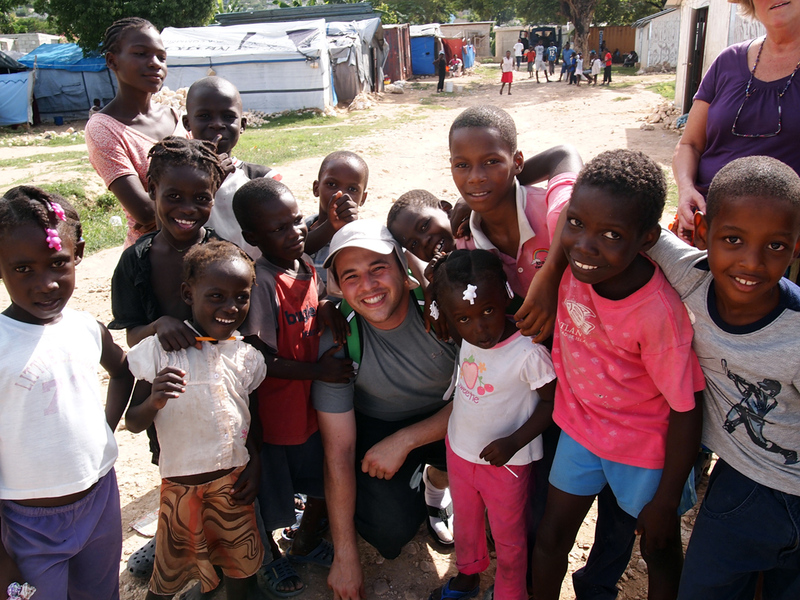 It is my hope that with your help, we can raise enough funds to go above and beyond the $900/per member cost to go to Haiti. 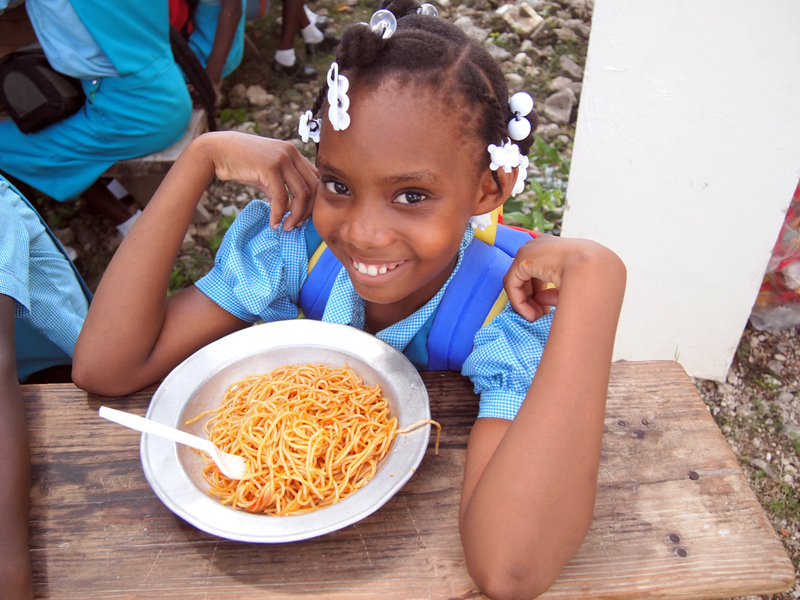 Every dollar raised in excess will go directly into funding for The Lord’s Kitchen, and every dollar will feed 3 children! Even the smallest donation has the power to save lives, especially after the wake of Hurricane Isaac. 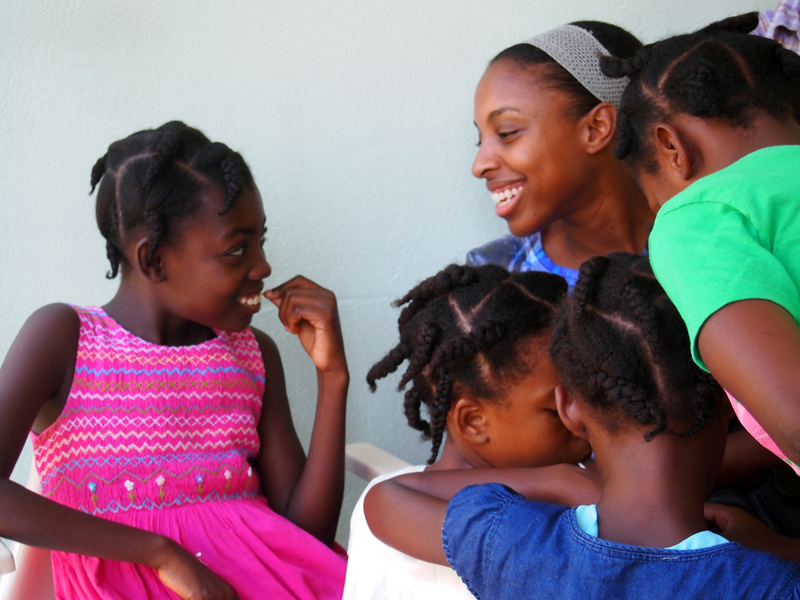 I humbly ask for any help you can provide so that we can help Grace International continue to spread God’s grace and love to his children in Haiti. Whether you send an online donation or a prayer, I am extremely grateful for your help. You may go to www.bridgewayonline.org/give to give a tax-deductible donation. 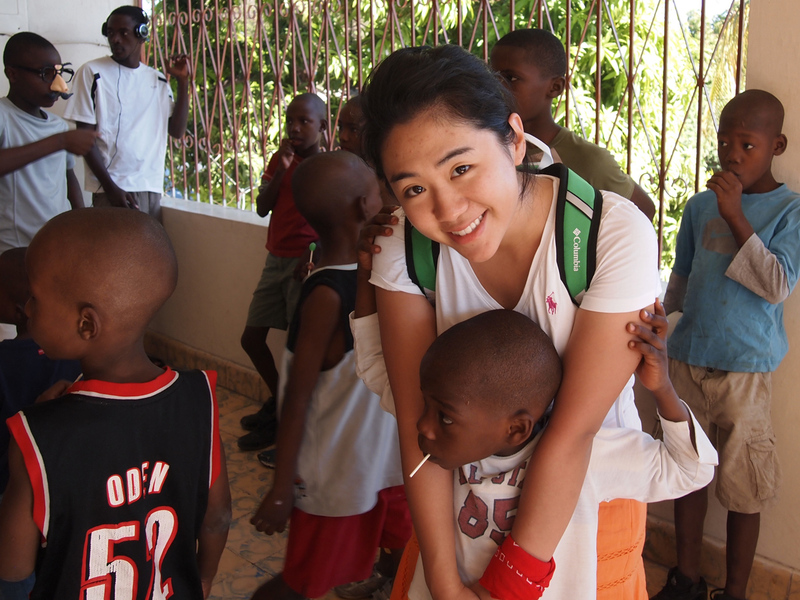 Please click on Haiti Missions Trip and designate the Trip Member (Grace Whang) you are supporting. Love your faces, and I’ll keep you all posted! People wonder why I wear high heels all the time. Long story short (no pun intended)…I’m short. And this becomes painfully clear when I deal with people much taller than me when I’m at home. Because (like in most Asian households), I don’t wear shoes indoors. Fortunately for me, I have wonderful people in my life that are very accommodating and sensitive to my struggle with being vertically challenged. On a different note, I’m back from my trip to NYC! It was an awesome time with awesome reunions with old friends and seeing new sights. Check out the gallery below for my personal favorite highlights! Hope you’re having a wonderful summer, my lovely readers! Keep cool, and enjoy yourselves! It was free donut day recently at Krispy Kreme. So my friend and co-worker Chris and I went over to indulge in the free treat after work. Because my mom and brother absolutely love Krispy Kreme donuts, I decided that while I was at it, I would bring a half dozen home with me. Box, ice coffee, and free donut stacked in hand, Chris and I headed out the door where a storm was brewing outside. It was a sign. No donut for me. Anyway, at least the rest of the donuts made it safely home! Good times! I’m heading out to NYC this weekend for a nice vacation road trip. Have a wonderful weekend, my lovely readers, and if you’re on the east coast, enjoy the fantastic weather! The only problem is that local weather reporters tend to leave out warnings when wind speeds are a bit high for the day. My lovely fellow commuters at the bus stop unintentionally saw another side of me that neither one of us was expecting. Remind me to always wear shorts underneath my dresses from here on out.